What is a person? What company do people keep with animals, plants, and things? What are their rights? To whom are they obligated? 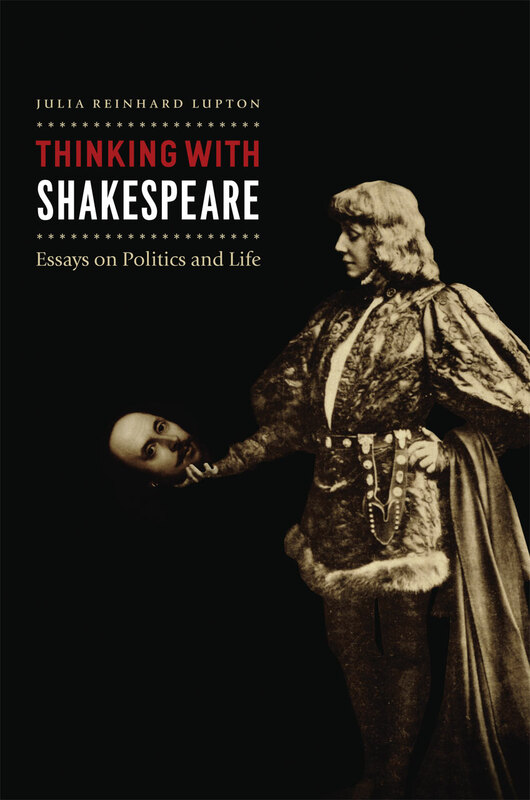 Such questions—bearing fundamentally on the shared meaning of politics and life—animate Shakespearean drama, yet their urgency has been obscured by historicist approaches to literature. Julia Reinhard Lupton gently dislodges Shakespeare’s plays from their historical confines in order to pursue their universal implications. From Petruchio’s animals and Kate’s laundry to Hamlet’s friends and Caliban’s childhood, Lupton here restages thinking in Shakespeare as an embodied act of consent, cure, and care. Rather than putting the plays in service of an ideological program, Thinking with Shakespeare encourages readers to ponder matters of shared concern with the playwright by their side. In a landscape populated by she-doctors, minor monsters, bankrupted hosts, and faithful cupbearers, Shakespeare tests what it means to consider our humanity fully. Taking her cue from Hannah Arendt, Lupton reads Shakespeare for fresh insights into everything from housekeeping and animal husbandry to biopower and political theology.